Our Krypton Son aka Chris McConaghy returns with his beautiful second album 'Fleas & Diamonds'. McConaghy is a songwriter with uncanny ability to capture elemental human truths as perfectly formed, dream-pop gems. Lush, sweeping arrangements are his trademark sound – on this latest collection he has adorned that landscape with strings and synths to sumptuous effect. 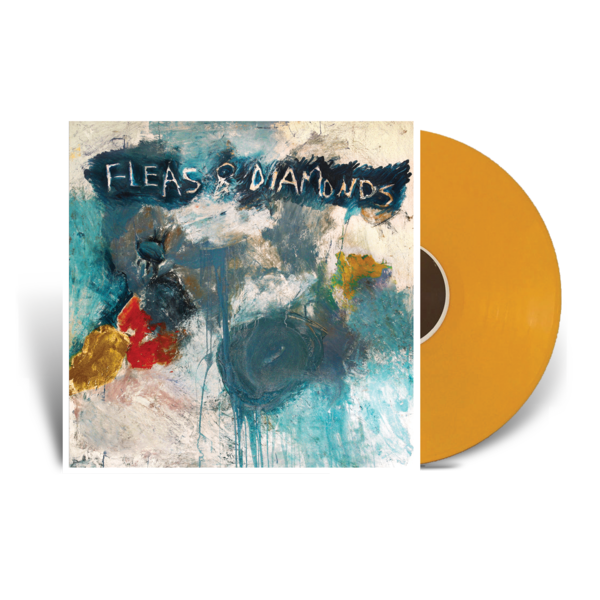 ‘Fleas & Diamonds’ is a cathartic experience for both listener and singer. Across its 46 minutes and 47 seconds are moments of profound beauty, honesty and truth. Like most of Chris’ material – we’re made to feel as though the songs were written for us alone. Upon purchase you will receive an email containing your discount code with instructions on how to redeem. Available on mustard heavy weight vinyl, with an instant digital LP download of both 'Fleas & Diamonds' & Our Krypton Son's first self titled record. Our digital LPs are full resolution WAV files, meaning you hear the album exactly as the artist intended. Pre-orders will ship w/c 7th March 2017. Please allow 3-5 days delivery outside UK & Ireland.